25 days to Akela 2016! We spoke to Mr Winston Adams, a South African Cub Alumni who currently sits on the Africa Scout Committee. Mr. Adams joined the 5th Cape Town Cub Pack in the heart of Cape Town when he was 9 years old.” At the time there was a lot of violence around us and Scouting was a place where parents could let their children have fun in a safe environment because of the holistic programme and approach” he explains. “I really enjoyed being a Cub, we all did,” he continues. His face lights up and he smiles when remembering his Cubbing days. Mr Adams has had a very successful career within national Scouting. 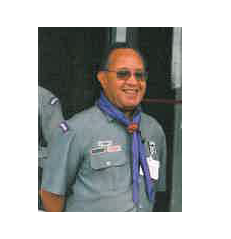 In addition to being the first employee of the Colored Scouting Association and being part of the unification of the 4 Associations, Mr Adams was the Area Secretary for the Western Cape, he helped establish the Namibian Scout Office in Windhoek, he was appointed Secretary to the Southern Zone, was appointed the Director of the 1999 World Scout Conference held in Durban, he established the Operations Centre for Southern Africa in Cape Town and became the director thereof. . Internationally, Mr Adams is revered for his role characterized as bringing unity and diplomacy. 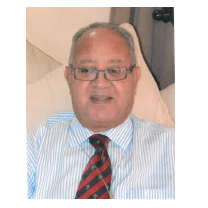 He sat on the World Scout Events Unit through which he represented the World Scout Bureau at a number of conferences and jamborees, he was appointed Acting Director of the Africa Region, was the Chairperson for the Honors and Awards Sub Committee for the Africa Region, is a member of the Africa Scout Foundation and sits on the Africa Scout Committee. After joining the Scouting Movement as a Cub in 1949, being a Scout professional for 42 years, being a key player on both the Africa Regional platform as the World Scouting platform, Mr Winston Adams still giggles when he thinks of all the adventures he has experienced. “It has been fun” he says with a smile!